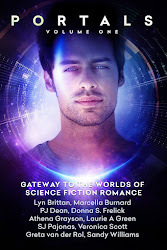 If you're still scouring the skies for more scifi romance goodness to fill up that e-reader, then you don't have to go to a galaxy far, far away to find it. 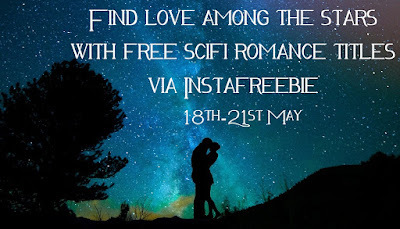 Check out the latest giveaway via InstaFreebie for more scifi romance titles than you can shake a lightsaber at by clicking HERE or the banner above. Enjoy! Hi, I'm Pippa Jay - author of scifi and supernatural stories with a romantic soul. This May I'm celebrating my fifth anniversary as a published author with my debut novel Keir - a scifi romance crossing time and space. And I'm doing a special giveaway to celebrate: a pair of custom-made crocheted dragonscale gloves in Keir blue, created by Hoot and Luna. This is open internationally but PLEASE BE AWARE - any import/shipping taxes will be the responsibility of the recipient as these cannot be paid in advance by the sender. Book One of the Redemption series and part of the Travellers Universe. 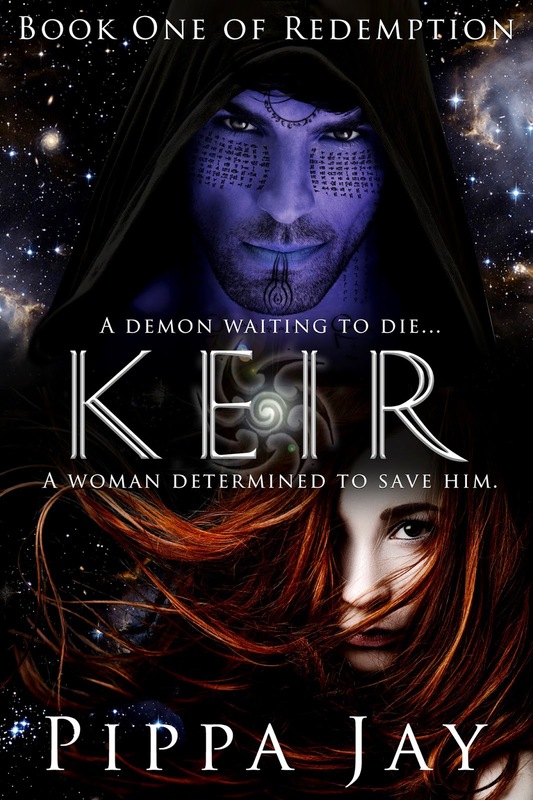 A science fiction romance novel previously released by Lyrical Press Inc. 7th May 2012, Keir is a Readers Favorite Contest Awards Finalist 2012​, HOD RWA Aspen Gold finalist (3rd place), The Kindle Book Review’s 2013 Best Indie Book Awards semi-finalist, and a 2012 SFR Galaxy Award Best May to December Romance winner. Book Two - Keir’s Fall - released in December 2015, with a companion side story - Reunion at Kasha-Asor - releasing 2017. After spending twelve years working as an Analytical Chemist in a Metals and Minerals laboratory, Pippa Jay is now a stay-at-home mum who writes scifi and the supernatural. Somewhere along the way a touch of romance crept into her work and refused to leave. In between torturing her plethora of characters, she spends the odd free moment playing guitar very badly, punishing herself with freestyle street dance, and studying the Dark Side of the Force. Although happily settled in the historical town of Colchester in the UK with her husband of 24 years and three not-so-little monsters, she continues to roam the rest of the Universe in her head. Gaming is a huge influence on everything I write. Specifically, the Mass Effect franchise. For those who are not yet “Woke” to the gaming world, ME comes in two hero flavors. The first trilogy featured Commander Shepherd and the Reapers. The most recent release is Mass Effect Andromeda. They are essentially a scifi romance story wrapped in an interactive game environment, as well as my own personal demon to overcome. Novels and video games have completely different needs in world building, but they have the same goals in storytelling. In ME, the story of mankind’s journey begins with their FTL, the mass effect drive, and the ever excellent story device they call the omni-tool. Need a door opened? Well, that’s what the Omni-tool is there to do for the player. It’s tech driven by biotic implants, not unlike the worlds of many of our cyborg authors. It’s a computer interface, used to hack our way through barriers and move us around the world with ease. It’s their cell phone, if we use a modern day comparison. Mass effect relays were built by a long extinct race, and they have ushered in for humankind an accelerated age of growth and technology upon their discovery. Using element zero, a universe specific substance that powers the drive core of their ships, humans have peopled other worlds, only to find a whole host of life out there just waiting for them to catch up. Video games need devices with which a player can interface and move the game forward. It’s just not that different from what we do, minus the coding and cool factor with our kids. Most SFR worlds have a technology pushing them forward. For mine, it’s mechs, massive machines of war that have pilots and explosives to spare. The ability to turn humans into machines or Psi operatives or mutants lies at the heart of scifi stories. They are plot devices on the surface, but the themes that lie underneath have been there since the early days of scifi. Cyborgs question what it is that makes us human. Psychic and biotic powers make us look seriously at the question of absolute power. Technology that can potentially destroy the world forces us to think about the cost/benefit of our consumptive selves, and question our place in the universe. This brings me to the bestest element of the ME franchise, THE ROMANCE. You are a lover and a fighter in this game, and it is glorious. For the same reasons we adore the addition of the romance element to our scifi themes, ME explores the relationships of each character and gives them the ability to progress almost anywhere. Isn’t that just what SFR authors do? The added layer of the relationship a novel is working through takes the big themes someplace deeper, makes those questions more intimate in nature. So that, the cyborg is worried, not just about his humanity, but his ability to give and receive love. The alien race determined to destroy us isn’t just a representation of the evil we face in ourselves, it’s also a threat to all that is dear. Most of us have been scifi fans practically from birth. The romance factor in our writing brings the themes we love home to us in a different way, and that’s why we love it. It’s why we’re fans before we’re authors. We are the audience. There’s a real change in the way the next generation looks at science fiction that has given rise to our genre, both in books and in games. It’s no longer about the science and tech exclusively, but about the people and relationships. I, personally, find the demand for games like Mass Effect a good sign for those of us who have more SFR stories to tell. This post is all the opinion of the author and in no way reflects the opinions of the SFRB. 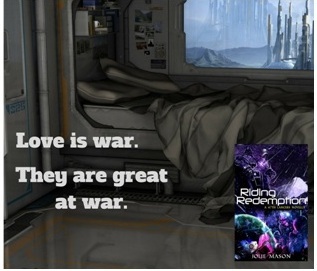 Jolie Mason is an author of SFR novels and novellas in a universe teeming with corruption, mechs and splosions. 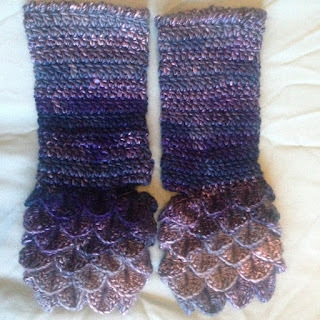 You find out more about her work at her blog, Future Fairytales. 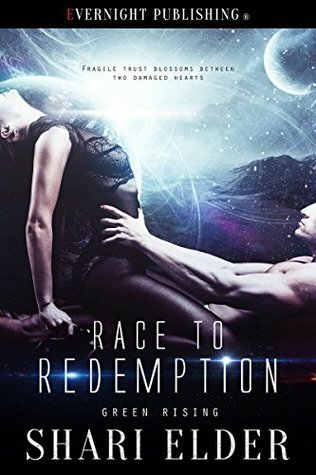 Intergalactic storm racing champion Elaina Carteret had it all—fame, wealth, men—until a horrific accident took it away. To get it back, she agrees to pose as Lainie Carter, medical transport pilot and corporate spy. Her risk-taking attitude infuriates Dr. Erik Johansen, who runs the medical outpost with an iron hand, a permanent scowl and the tightest bod on the planet. Unable to forgive himself for a past tragedy, Erik works himself into an early grave. He has no patience for the insubordinate Lainie Carter, who can’t take an order, disrupts routine, and flames his body to ash. When the outpost is attacked, they're thrown together in a race across the desert to stop a deadly biogenetic weapon. As a fragile trust blossoms between two damaged hearts, their pasts resurface and threaten their growing bond. There's a ton of plot (and action!) packed into this high heat read. It's a detail-rich universe that has shaped the leads into very interesting people. All the characters are complex and original, and I grew to care a lot about their fates. 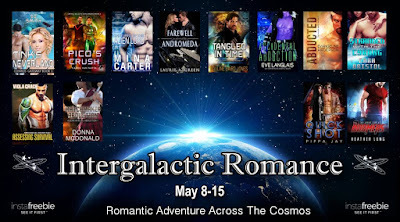 If the warmer weather has you thinking about summer and shopping for your beach reads, here's a perfect opportunity to pick up some out of this world romances for free to fill up your ereader. Just click on the banner above or HERE to be transported to the home page and take your pick! And if you're after more bargain books, you can also visit the new romance only e-retailer Inside Romance and get 20% off for the whole of May with code GRAND20. Click the banner below to visit.